This costume makes a perfect Halloween or Christmas costume. Glasses sold separately. 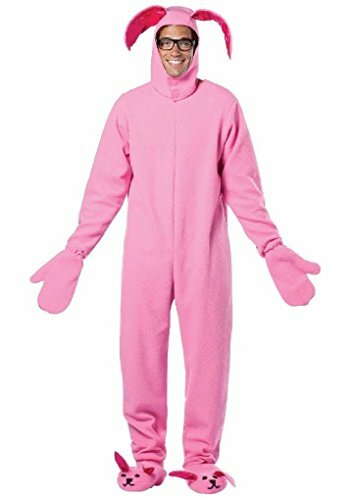 Dress up your child like iconic pink bunny suit inspired from the classic Christmas movie. This costume makes a perfect Halloween or Christmas costume. Glasses sold separately. 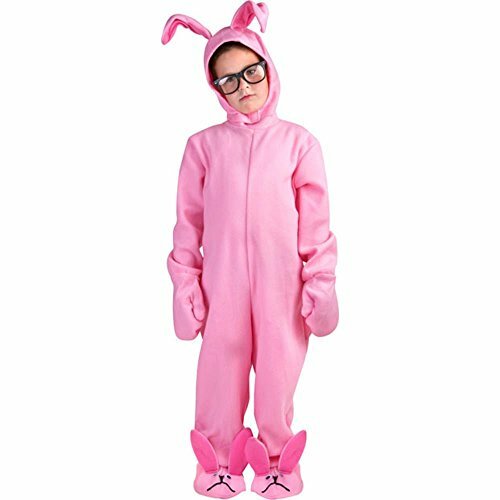 Dress up as stylish version of a Christmas story's bunny suit in this bunny dress costume Great for celebrating this well-loved family flick or this year's costume bash and for Christmas-themed pub crawls. 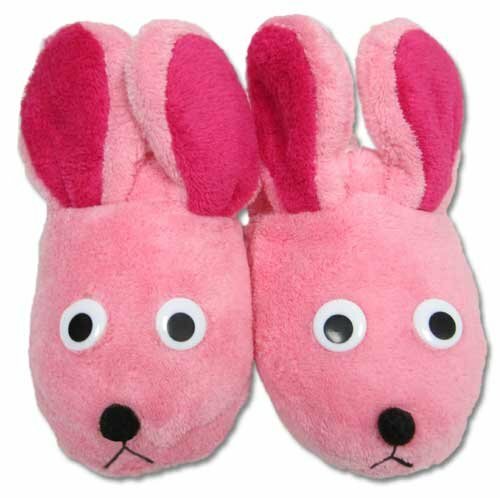 Deluxe Bunny Slippers come in 3 sizes: Small - The slippers are 8" in length, but because they are plush, they comfortably fit smaller foot sizes as well. Medium - The shoe size for the slippers will fit up to size 8 Womens. Large - The shoe size for the slippers will fit up to mens size 12, but because they are plush, they comfortably fit smaller foot sizes as well. 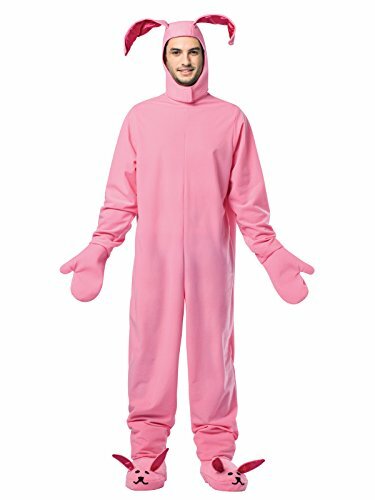 Dress up like the iconic pink bunny rabbit from the classic Christmas film story.